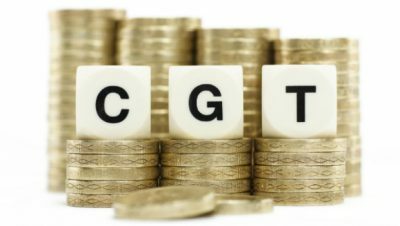 Perhaps surprisingly, more money is raised from CGT than Inheritance Tax (IHT). Paying tax at 28% is better than at 45% (the top rate of Income Tax) but it’s even better to pay nothing. A taxable gain usually arises whenever you sell an asset at a profit (after allowing for transaction costs) unless it is held within a tax free wrapper such as an ISA or Pension. Sales and repurchases within 30 days are matched. Everybody (including children) has an annual CGT tax free allowance (£11,100 in 2015/16). Married couples who hold assets in joint names will benefit from both partners’ annual CGT allowance.Transfers of assets between spouses are NOT treated as being taxable disposals. If you gift an investment to someone who isn’t your spouse or civil partner, you may have to pay any CGT that would have been due, unless Holdover Relief applies. Donations to charities are free of CGT. If your gains at the end of the tax year are more than the tax free limit you will need to complete an HMRC Self-Assessment. If you aren’t registered, you can write to HMRC to let them know about your gains. If you are a higher or additional rate taxpayer, you will pay tax at 28% on your gains in excess of the annual limit. If you are a basic rate taxpayer, you will pay either 18% or 28%, depending on the amount of the taxable gain and your taxable income. You can offset any losses against your profits and if the loss exceeds the gain, it can be carried forward to future tax years. You can claim up to four years after the end of the tax year of which you disposed of your asset. There is an exception for losses made before 5 April 1996. A reduced rate of 10% applies to gains that are eligible for Entrepreneurs Relief, broadly gains from shares in unquoted companies carrying on a qualifying trade in which you own at least 5% and are an employee or director. Shares acquired through an Enterprise Management Incentive (EMI) usually qualify for Entrepreneurs’ Relief regardless of % shareholding, providing they were held for at least one year prior to sale. If you don’t utilise your annual tax fee allowance you lose it. The optimal situation in most cases is to use all of your annual allowance but no more. A useful technique called ‘Bed & ISA’ can be used to sell an asset and then immediately repurchase it in your ISA. That crystallises the gain without changing your beneficial interest in the asset. This rather odd terminology derives from a previous technique called ‘Bed & Breakfasting’ which involved selling an asset late on one day and buying it back the next morning. That technique no longer works because sales and purchases of the same asset within 30 days are matched. If you have an unrealised gain that is greater than the annual allowance, try to spread the disposals over several tax years. If you are married consider transferring all or part of the asset to your spouse. If you have unavoidably created a CGT liability you might be able to defer it. HMRC provides some useful information here. The most common option is to reinvest using EIS, or SEIS. However, these should be regarded as high risk investments. 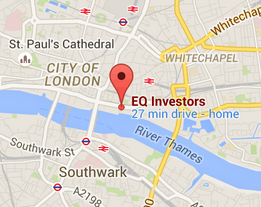 EQ carries out research into EIS opportunities and can help to advised on suitable investments.